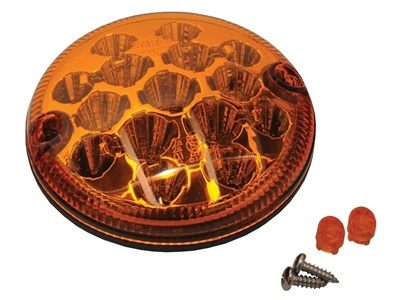 Indicator light<br> <br> Amber / Single<br> <br> Multi-voltage 9-33V. 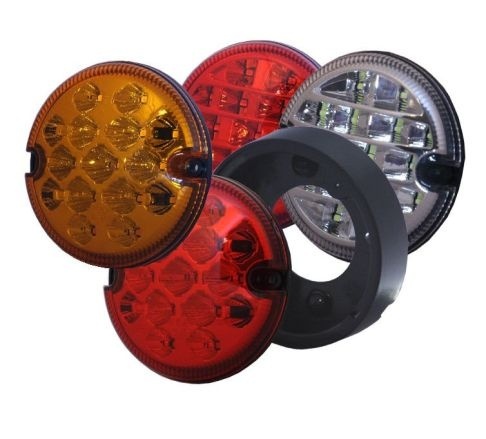 95mm diameter.<br> <br> Comes complete with infill caps for screw areas.<br> <br> These lamps will work straight out of the box with most vehicles but sometimes the low power consumption is detected and may cause…<br> <br> • The lamps to flash at a faster rate.<br> • A bulb failure detection on dashboard warning systems even though the lamps are working correctly.<br> <br> These can easily be corrected by fitting a Wipac Smart Load Device, which is available for purchase separately.<br> <br> Part Number: ‘S6081LED 12vSLD’ for 12 volt systems or<br> Part Number: ‘S6081LED 24vSLD’ for 24 volt systems)<br> <br> This small electronic device increases the current to match that of a halogen bulb and corrects the problem.<br> <br> If you want to check whether you will need a SMART LOAD DEVICE before you fit your lamps simply remove a bulb and see if the remaining indicator on that side of the vehicle is affected (or a warning appears on the dash). • The lamps to flash at a faster rate. • A bulb failure detection on dashboard warning systems even though the lamps are working correctly. These can easily be corrected by fitting a Wipac Smart Load Device, which is available for purchase separately. This small electronic device increases the current to match that of a halogen bulb and corrects the problem. If you want to check whether you will need a SMART LOAD DEVICE before you fit your lamps simply remove a bulb and see if the remaining indicator on that side of the vehicle is affected (or a warning appears on the dash).